…is out and of course there’s good news and bad news. The good news is that Dayton Ohio home sales are up, prices are up, most likely due to the big rush to take advantage of the tax credit. I also see that Dayton investors are busy purchasing homes, and the market for flipping homes is finally returning. If you want to be an investor in Dayton, there are plenty of good buys, and foreclosures are going to continue to rise- that’s the bad news- so people are going to want and need nice places to live. These folks often come from a place of home ownership, they want to stay in Dayton but their credit has been dinged. They need a home- not a house, not a rental- they want a home. If you are considering renting your home on a land contract or a lease-to-own, this is a good time as we are likely to see more creative financing options than we have in the past 10 or 15 years and that’s not such a bad situation.  Call Theresa Lussier, THE HOME GROUP REALTY, 937-478-7781 if you want to discuss your options for land contracts or lease-to-own homes in Dayton Ohio. Back to the National Association of Realtors report… There is an entire set of real estate data that the NAR has compiled across 150 metro areas. Dayton Ohio is one of those areas, and you can find the complete real estate market report for Q1 for Dayton Ohio, here.